Experience custom-designed interdisciplinary residencies to enhance your music and school curriculum. 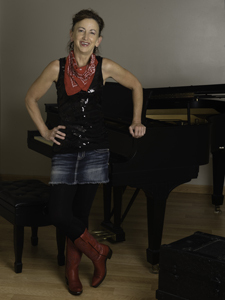 Donna’s talent, teaching skill, and vibrant personality combine with her experience as a nationally certified teacher of music and active performing artist to make for relevant residencies of the highest caliber. Each residency interconnects music, multi-media, and experiential activities to provide a unified focus and holistic understanding of music and its place in the world. Students participate in a variety of activities such as singing, hands-on creating, composing, dancing, performing, and active listening. All residencies implement integrated curriculum from complementary disciplines to meet national standards. Exit materials offer a sustained impact long after the conclusion of the residency. Choose from the residencies below or contact Donna to create the tailor-made program to meet the distinctive needs of your community.